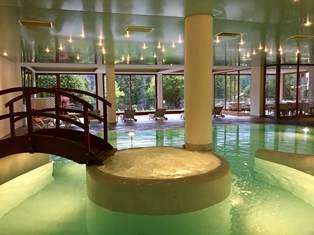 The Parkhotel offers 6 lovely apartments named after the mountains they overlook and placed in the traditional hotel building. Apartment guests can use all hotel services, easily accessible by elevator. A vacation in an apartment near Cortina is the ideal accommodation for those who want to feel at home and be pampered like in a hotel. 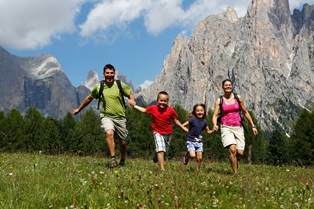 The location is perfect for an active holiday with the family. The slopes of San Vito, part of the well-known Dolomiti Superski, are placed only 400 m from the hotel and offer a great playing & skiing area for kids: the Parco Neve e Sole. At a short distance you can admire the most famous peaks of the Dolomites: the Tre Cime di Lavaredo, Cinque Torri, Tofane, Marmolada, Antelao and many others. They include 1 master bedroom, living room with 1 single sofa bed, kitchenette, 1 bathroom and panoramic balcony. Cima Belprà number 505 (40 square meters) on the 3rd floor, facing North (Belprà peak). Pelmo number 501 (40 square meters) on the 4th floor, facing South-East (Mount Rite) and South (Mount Pelmo). They include 1 master bedroom, 2 single sofa beds in the living room, kitchenette, 1 bathroom with window and panoramic balcony. Scotter number 502 (45 square meters) on the 4th floor, facing North (Mount Scotter) and East (Mount Rite). This apartment can be connected to the Pelmo two-bedroom apartment and become a comfortable accommodation for 6 or 7 people. Marcora number 503 (50 square meters) on the 4th floor, facing North (Mount Marcora) and West (Cortina). It can be connected to a hotel double room (queen or twin beds) and become an apartment for 5 or 6 people. They include 2 master bedrooms, 1single sofa bed in the living room with Tyrolean stove, kitchenette, 2 bathrooms – one of them with window - and panoramic balcony. Sorapis number 506 (65 square meters) on the 3rd floor, facing North (Mount Sorapis) and West (Cortina). Antelao number 504 (65 square meters) on the 3rd floor, facing North (Mount Antelao) and East (Mount Rite).